WASHINGTON — President Donald Trump on Jan. 17 announced his intent to appoint the following individuals to be members of the President’s Advisory Commission on Asian Americans and Pacific Islanders. Michelle Park Steel of California, and upon appointment to be designated co-chair. Steel represents District 2 on the Orange County Board of Supervisors and previously served on the State Board of Equalization. Dr. Paul Hsu of Florida, and upon appointment to be designated co-chair. Hsu is founder of the Creative Technology Air Park and several regional defense and aerospace companies. Jennifer Carnahan of Minnesota, David B. Cohen of California, Grace Y. Lee of Michigan, George Leing of Colorado, Jan-Ie Low of Nevada, Herman Martir of Texas, Prem Parameswaran of New York, Amata Coleman Radewagen of American Samoa, Sean D. Reyes of Utah, and Chiling Tong of Maryland. The commission’s charge is to work with all the agencies of the federal government to improve the health, education and economic status of Asian American and Pacific Islander communities. Trump also announced his intent to designate Secretary of Transportation Elaine Chao to be co-chair of the White House Initiative on Asian Americans and Pacific Islanders. 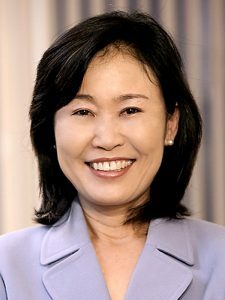 Chao was previously secretary of labor under President George W. Bush.